The answer to lightweight, portable, prompting, anytime, anywhere...sans the tripod! 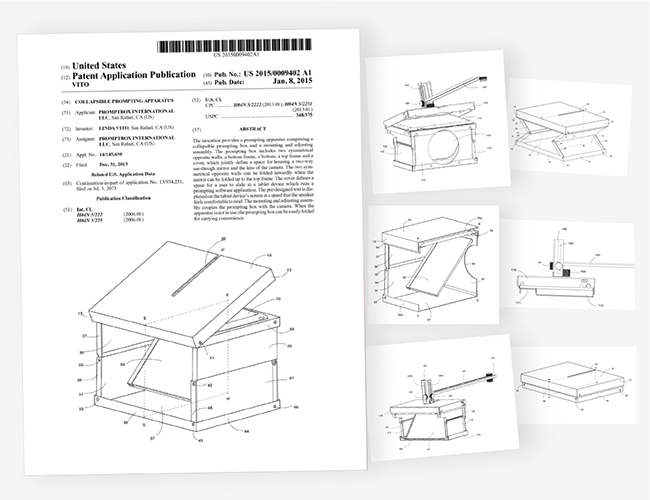 Precise and accurate patent illustrations with a quality you can trust, and a service you can depend on. PWIP Design © 2017 | All Rights Reserved.